At VA Massage we believe in providing the best service that we can. We put our whole heart and soul into our treatments and work. We love what we do and it shows through our work and our customers appreciate the work that we do and the extra mile that we go. We believe in giving 100% Spirit of Excellence to our customers and clients. What are they saying on Facebook? Message: Thanks to Sandra for a great end to a working week. I slept 10 hours Friday nite after a fabulous massage. See you again in Oct.
Edna Evans ~ As an elderly person who lives alone, massage and touch is as important to me as breathing. What are our Customers & Clients Saying on Video? 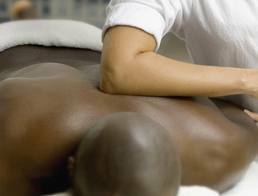 VA Massage was founded in 2012 by Sandra Lee, Certified Massage Therapist. Sandra received her certification at Institute of Health and Healing in 2007. Sandra has also been a Master Esthetician since 2007 and a Professional Esthetician since 2005. 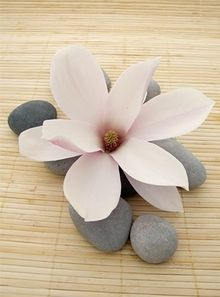 She specializes in Swedish, therapeutic, deep tissue, Indian Head, AromaticTouch, Hot Stone massage. In the past year she has learned about essential oils, through doTerra Oils, and natural remedies that promote relaxation and wellness. As an Esthetician she specializes in European facials, body treatments, bodywraps, body waxing and natural homemade products. She uses Dermalogica products for her facials. "I have had clients visit and say to me that massage has helped them sleep better and the techniques I used, along with incorporating essential oils in the massage have helped relieve pain and headaches. I believe receiving massage on a regular basis is the key to relaxation and pain relief"
"I have also had clients to say that my massage is so different than other massages that they have received, because I incorporate Indian Head Massage, Craniosacral, Pressure Point, Myofascial, Thai Massage, stretching, Reflexology, energy work... amongst other techniques. It has helped to improve their golf games, tennis game, running, volleyball, bowling, gardening, football, basketball games & everyday life events and work."